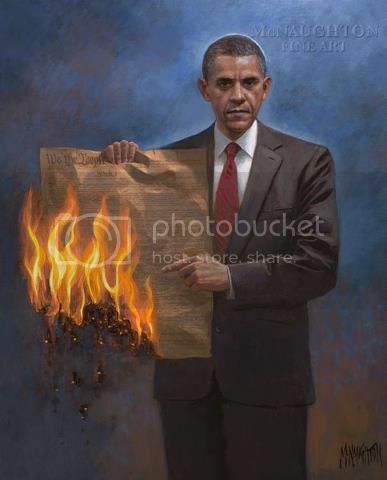 ROMNEY TO OBAMA - "HOPE IS NOT A STRATEGY"
The Constitution of The United States declares that the person responsible for actions taken by the Executive Branch is the President. Except if that President happens to be Barack Obama who accepts responsibility for nothing and the murder of Ambassador Stevens and three others in Libya by Al Qaeda is another in the long list of ducking responsibility by Obama. Secretary of State Hillary Clinton announced in Peru, a safe distance from Washington that allows very little press questioning of her statement, claiming responsibility for the lack of security and the failure in Libya that resulted in the deaths and attack on our Consulate. In an election year she stated that she takes responsibility to , "avoid some sort of political gotcha." Hillary has fallen on the sword for Obama and Obama who refuses to take responsibility for anything is letting her do so. Does this mean that Obama followed Hillary's instruction to claim that an unknown video was responsible for the attack when he stated so the day after, on Letterman, The View and at the UN? Did Hillary instruct UN Ambassador Susan Rice to make the talking head shows circuit the Sunday after the Tuesday attack blaming the video? Rice being a government official who is DIRECTLY answerable and responsible to the President. The answer to all of these questions is no! Obama blamed the video. He avoided any reference to a terrorist attack. As President his security advisers are required to keep him informed of situations especially when they involve American interests. He knew, he ignored, he blamed and he lied. But in an election year where the attack in Libya is a death blow to his struggling campaign he lets Hillary fall on the sword and accept responsibility for him. Harry Truman kept a sign on his desk that stated, "the buck stops here," a slogan that describes the awesome responsibility of The President of The United States. Barack Obama should have a sign on his desk that states, " the buck stops with anyone but me." He has taken absolutely no responsibility for anything that has happened during his Presidency. The economy that he owns is Bush's fault. He actually tried to blame his failure during the last debate on John Kerry. The incredible debt that he has added which totals more than every President from Washington to Clinton combined is the fault of Republicans not his spending. His failure in strategy in Afghanistan is the fault of Commanders who he has ignored. Now the murder of our Ambassador and three others in a terrorist attack is Hillary's fault. When the vote is counted on November 6 and Mitt Romney is elected President of The United States in a landslide, Obama then can rightfully blame someone for his failure to be reelected because finally it truly will be someones fault. The American people who are sick of his policy, his economy, his apology for American exceptionalism, his failure and his refusal to take any responsibility for anything, will be completely responsible for firing him and removing him from office. For that we the people will gladly take the blame Mr. Obama.